Last weeks Open House was a great success - thank you to everyone who came out to check out the new Holiday Catalog, make a Make & Take and have opportunity to get their name in the door prize drawing. This was my first Open House in our new house and I felt like it all went very well. My team of demonstrators were so great to come for a fun work night and then a few came to help with either set-up or on the day of the event. I must say that I am blessed to have a large area for my crafting room. The lovely Inez was the demonstrator who helped with the Make & Takes during the morning hours. This is the Make & Take that everyone made - which way do you like it? with a flagged end or straight? This card was cased straight from the Holiday Catalog! This bag was cut down and made into a darling Card Organizer. Think outside the box: Isn't this little Lion head adorable!! I cannot wait to attach him to a card! 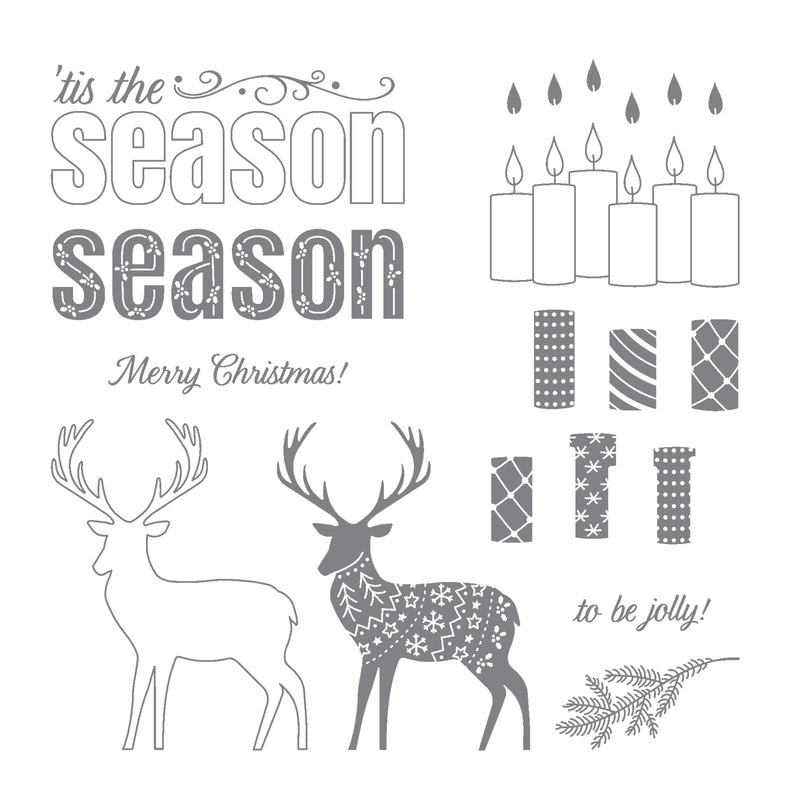 Remember if you are placing an order over $150.00 DO NOT use the Hostess Code because you will be earning the Hostess credits and if your order is over $300 you will get the MERRY PATTERNS Stamp Set for FREE! !